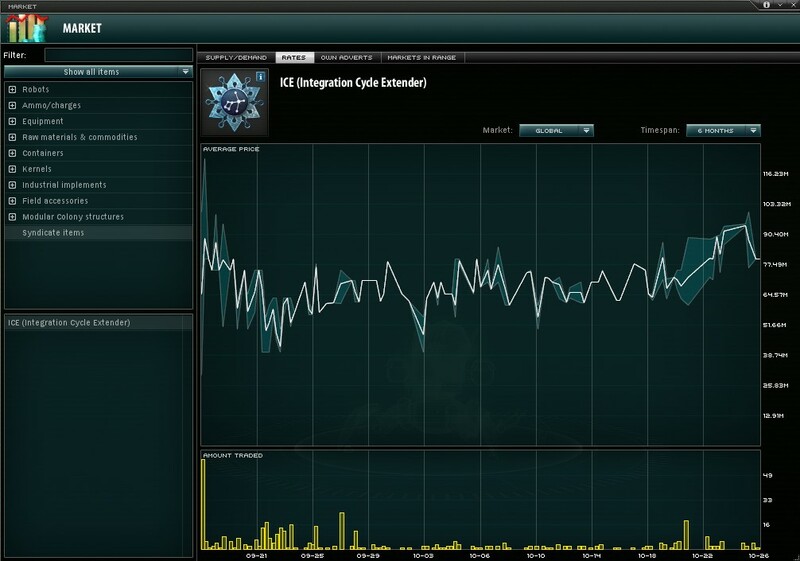 The introduction of Integration Cycle Extenders seems to be a success so far, the ingame market is constantly filled with buy and sell orders for it. For a while, the price of ICE seemed to settle around 60-70 million NIC - much lower than we have expected, but certainly good news for buyers. Lately it seemed to slowly start upwards and it is quite possible that today's patch will increase demand and thus its price even more. I want to br-... play free! A lot of you with expired accounts have come to us asking to let you in for a few minutes so you can buy an ICE and get back into the game. But that wouldn't have been fair towards the others, not to mention the user management nightmare. 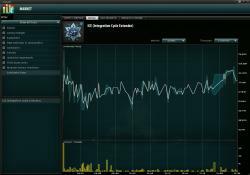 So today we present you our new temporary account reactivation feature, which will revive an expired Perpetuum account for 24 hours, completely free of charge. Obviously we still have to pay our rent, so you can only do this once every 30 days. An account reactivated this way is no different than any other active account, you will even get EP for those 24 hours too. Use that time to buy ICE, manage roles of dead corporations, check out new game features, or whatever else you can think of. The temporary reactivation feature can be reached from your account status page, or here is a direct link to it. So spread the word to your old buddies and see you in game! Sounds good! tho i think 24 hours is being a bit to generous :P 1-2 hours would have been enough. While it was primarily made in reaction to the ICE-issue, it is also intended to work a bit like a "free monthly demo". So far if your account expired, the only option you had to check back into the game was buying 30 days, and not everyone was willing to do that before getting a fresh impression. Excellent idea, it actually makes me proud to have Devs that would do this. 24h is very generous indeed, the more time you add the more people will start to use the feature for other purpouses. +1 to the idea. I think this "peek-a-boo" option is good. awesome, however would it be a "one time" thing per account, or would it be possible to repeat this "1 day" every month per chance? William: it is repeatable every month. Just read the in game change log, it is, awesome!!! Awesome! I think this will sit very well with your playerbase.